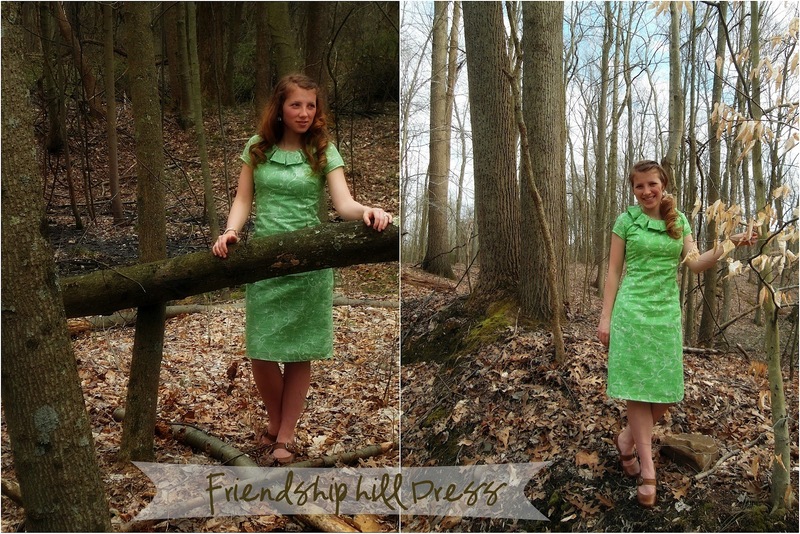 ' Shabby Apple dress recreation - The Friendship Hill Dress - Sisters, What! On my recent trip to Joanne's, I found some pretty green fabric on sale big time. I didn't plan on doing anything with it, but when I got home I realized I had enough to make a dress. I didn't have a pattern for a dress just lying around, but I found this Shabby Apple beauty that I just loved. I got this book a few years ago, for my college sewing class, but never looked at it once back then (probably the reason why I barely got by in that class), but I suddenly remembered that I had it and it was a life saver. I highly recommend this book to any seamstress from beginner to pro. Here's how the dress turned out. Not quite like the Shabby Apple version, but I like my version just as much. However, next time I might use a different fabric (I used cotton) so that it doesn't wrinkle so easy. Also, your totally going to laugh at this. I made it barely too short (for my standards that is). It's fine when I walk, but when I sit, it comes up to high on my thigh. I recently just added a little ruffle at the bottom to make it longer. 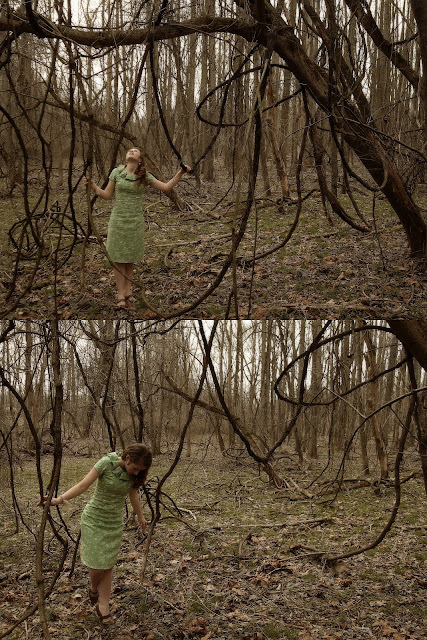 We also encountered the Fire Swamp while there; after testing the vines, I was about to jump into the sand pit, but then I chickened out. We'll save the quick sand diving for Wesley and Buttercup. 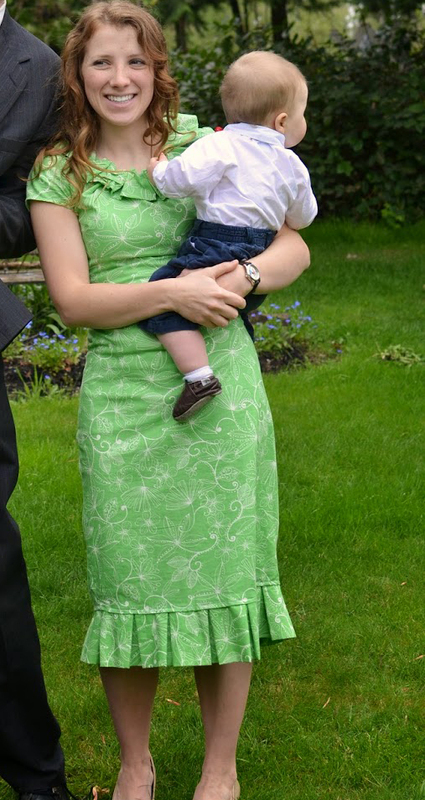 Oh and I was still able to carry the little one while wearing the dress. Double bonus points. It looks great Hava...really great. I am proud of you. You never stop amazing me. Awesome! I'm going to look into that book! I love the neckline of your dress and am really impressed! As a Burton, you must have gotten all the sewing genes! Love it! Great job. Wish I could sew even a straight line...hee hee. I love love LOVE this!!!! You did amazing job on it! Wow! You are so talented! The dress turned out beautifully! Very cute. You look great in it. I'm visiting from Rae Gun and have to say that I love your dress! It looks so professional and the colour suits you so much! Your dress is gorgeous, I love it. I have loved that purple dress and thought about making my own. You did a great job of recreating it. I noticed you wearing this...was it Easter? I loved it and DID notice it's fabulousness. Great job! Holy Cow! You're one talented lady. I've considered making a dress on Shabby Apple. 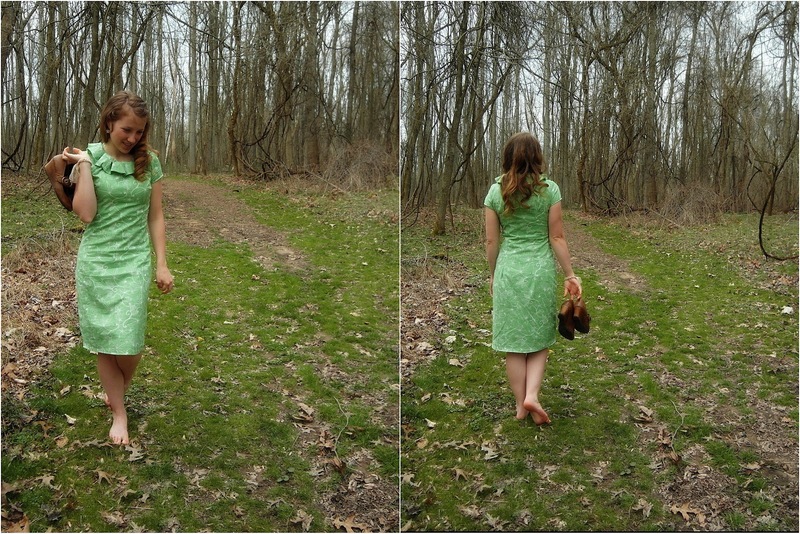 This gives me some hope :D.
I just found your blog and this dress is fabulous! Great work!